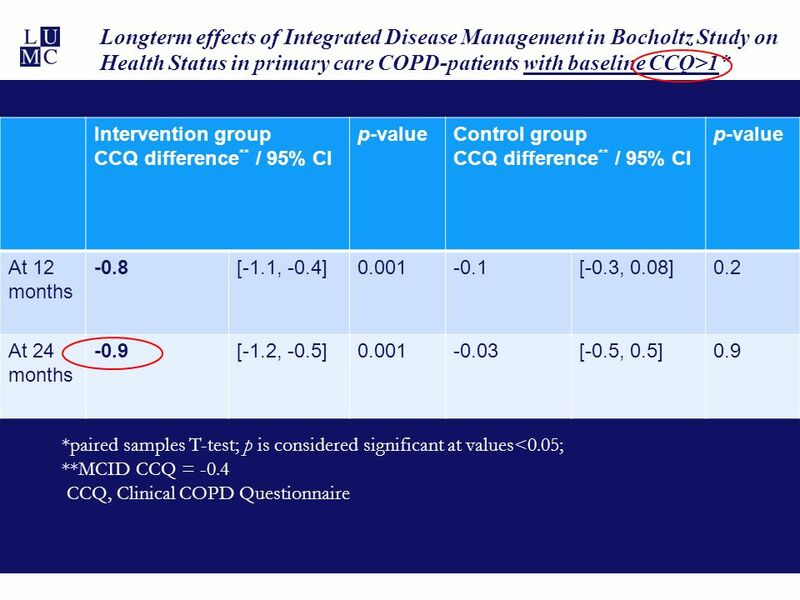 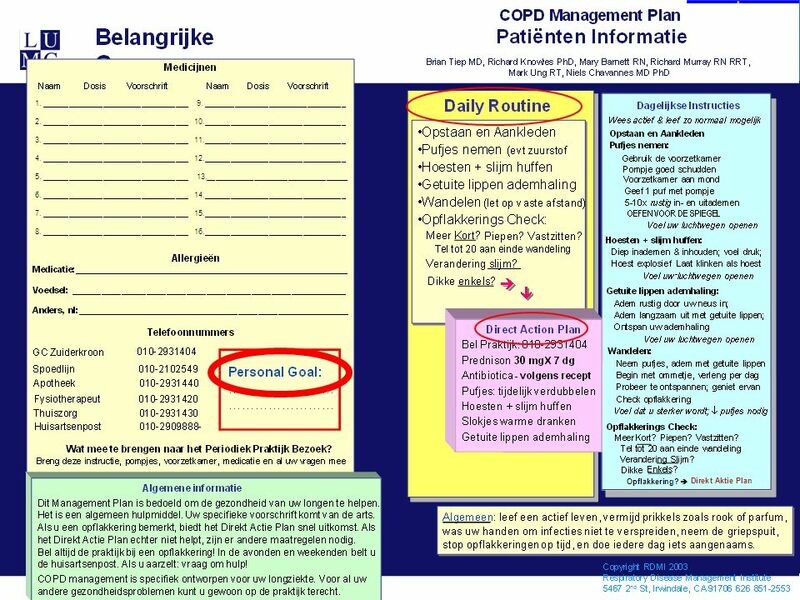 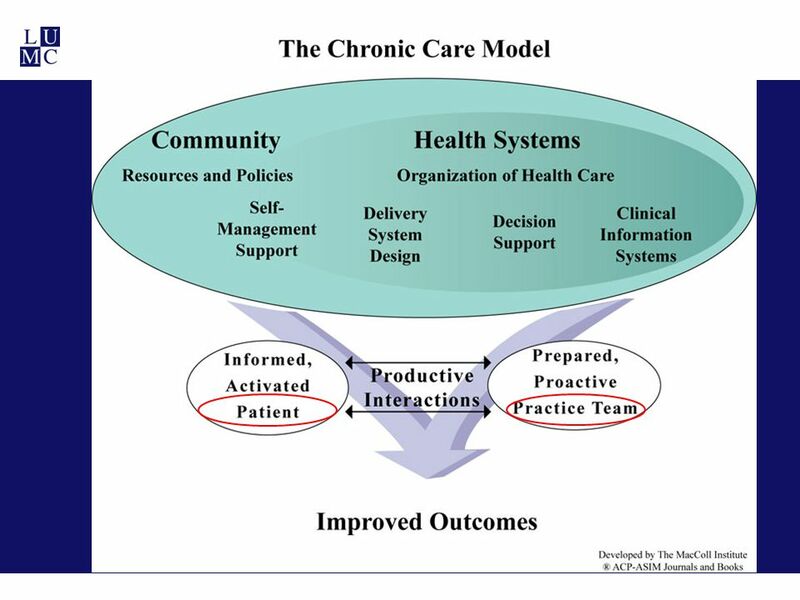 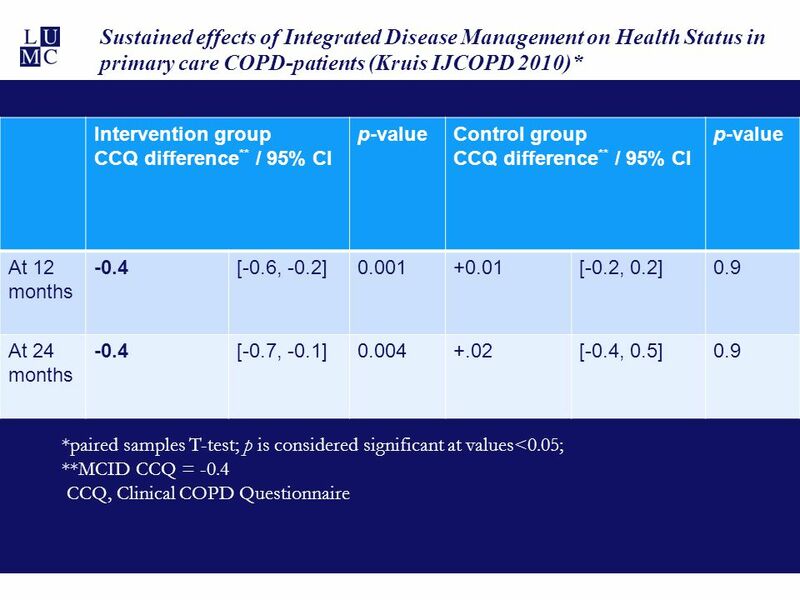 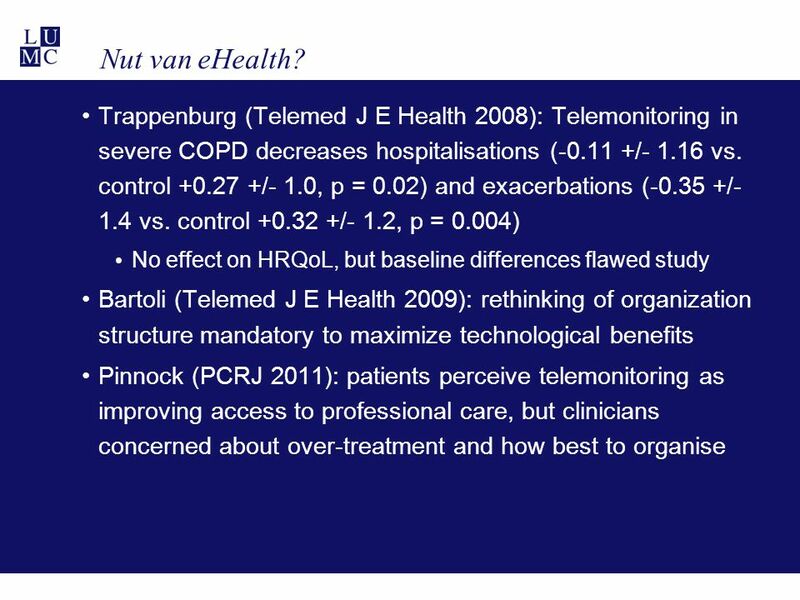 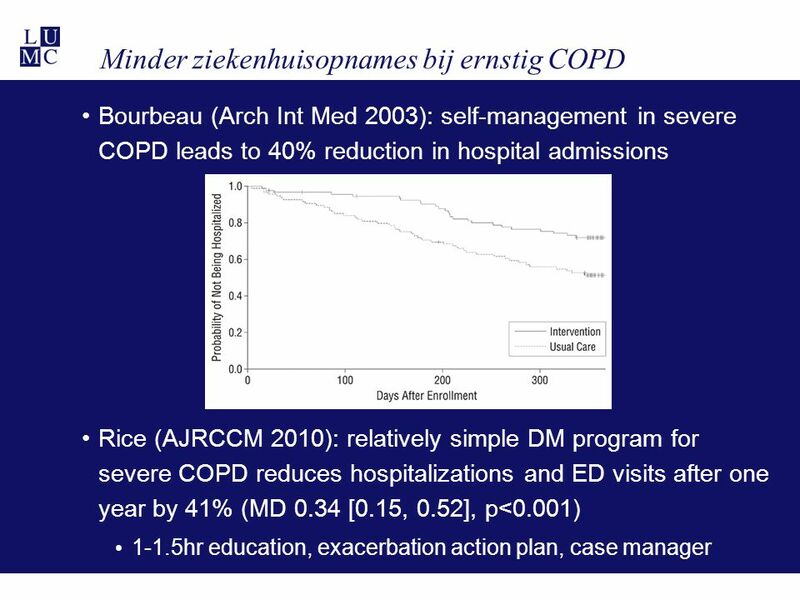 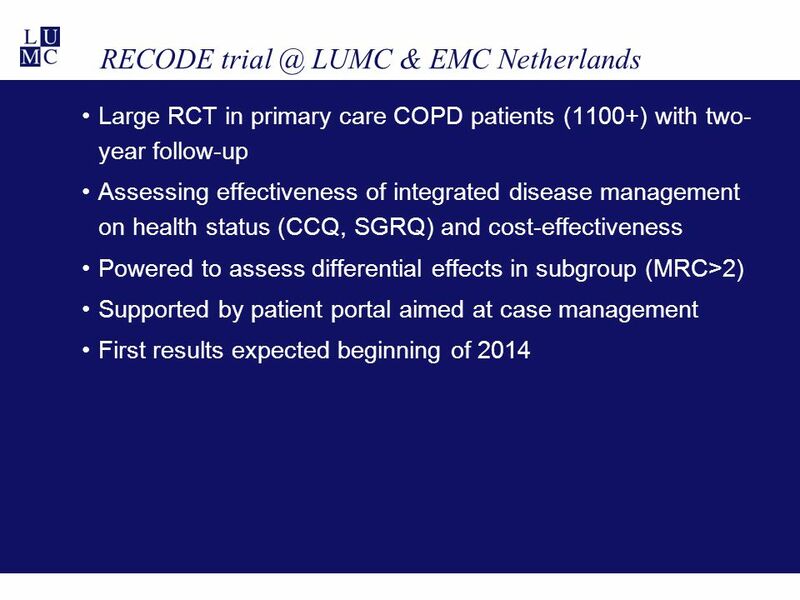 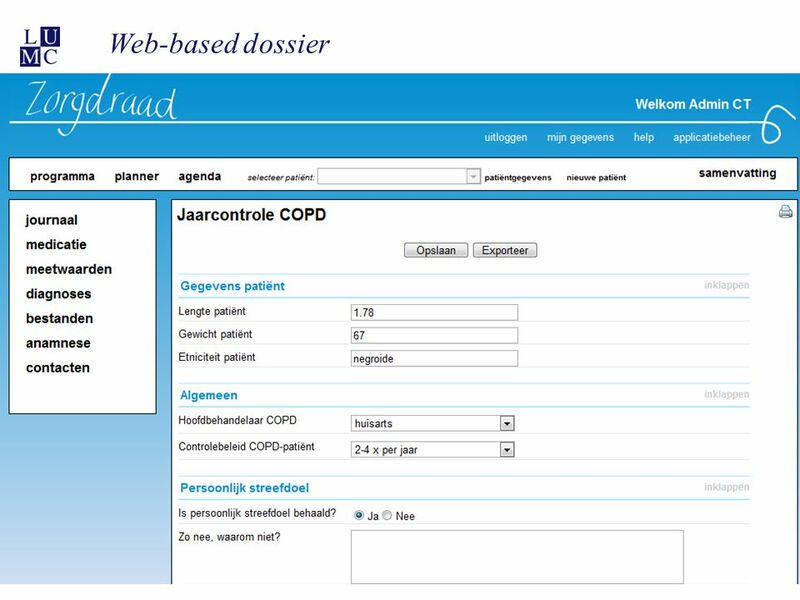 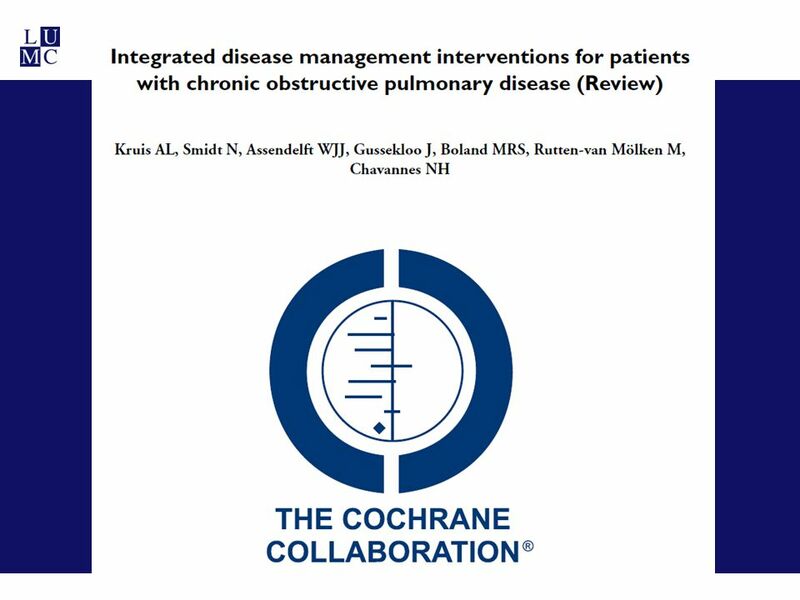 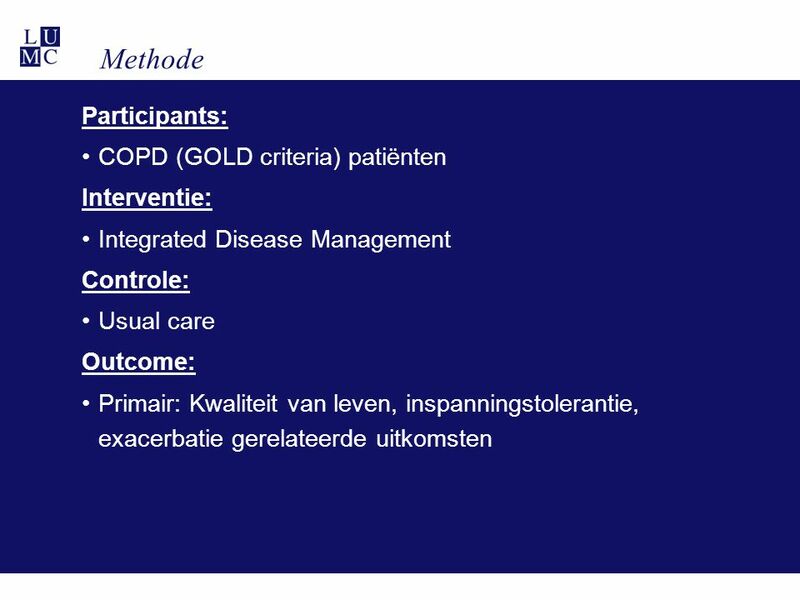 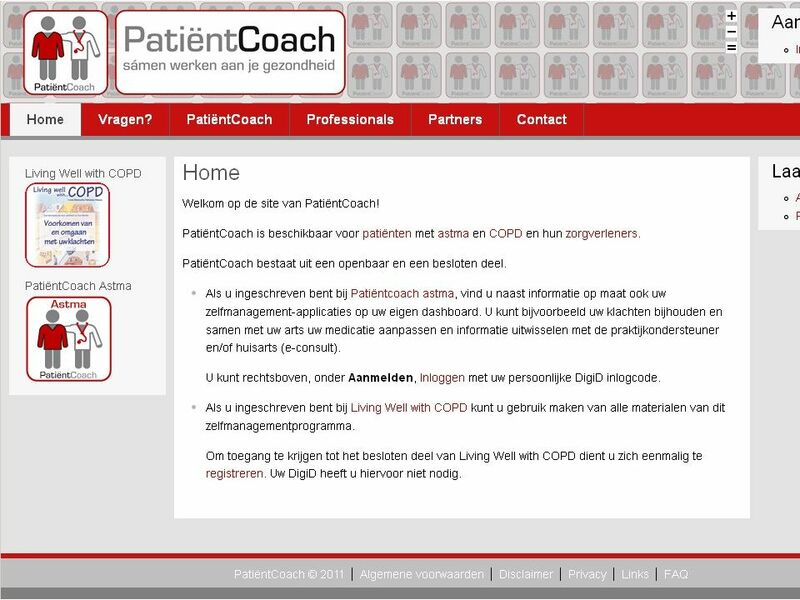 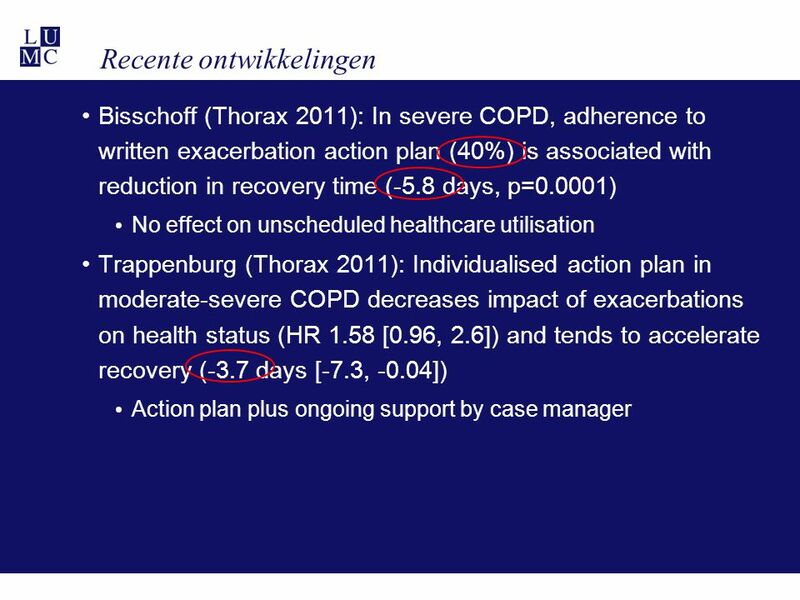 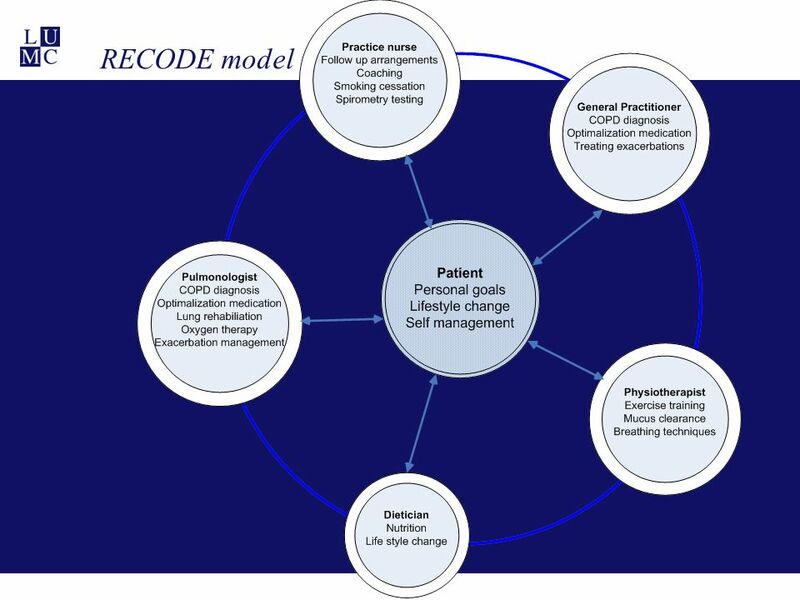 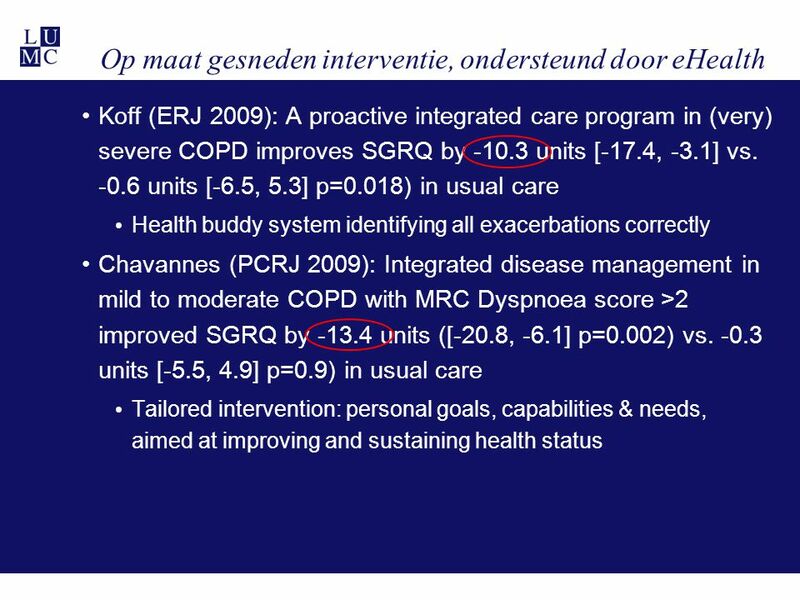 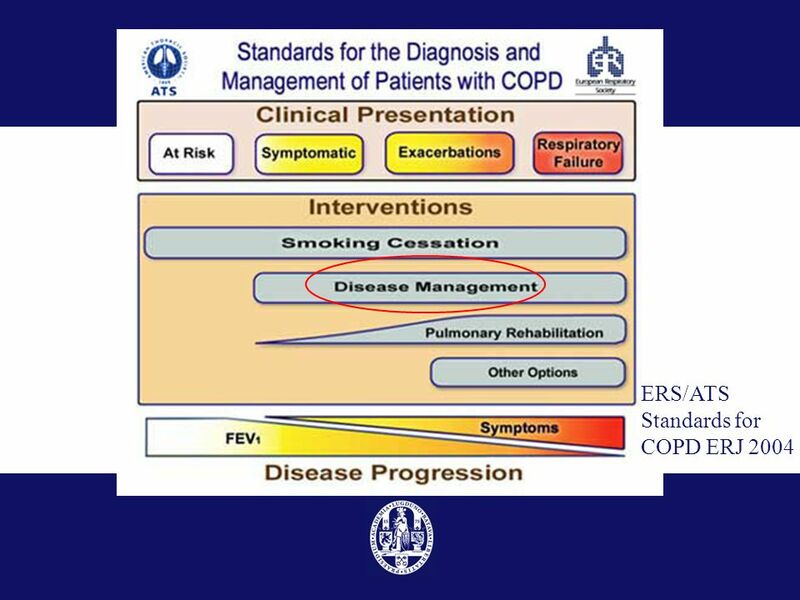 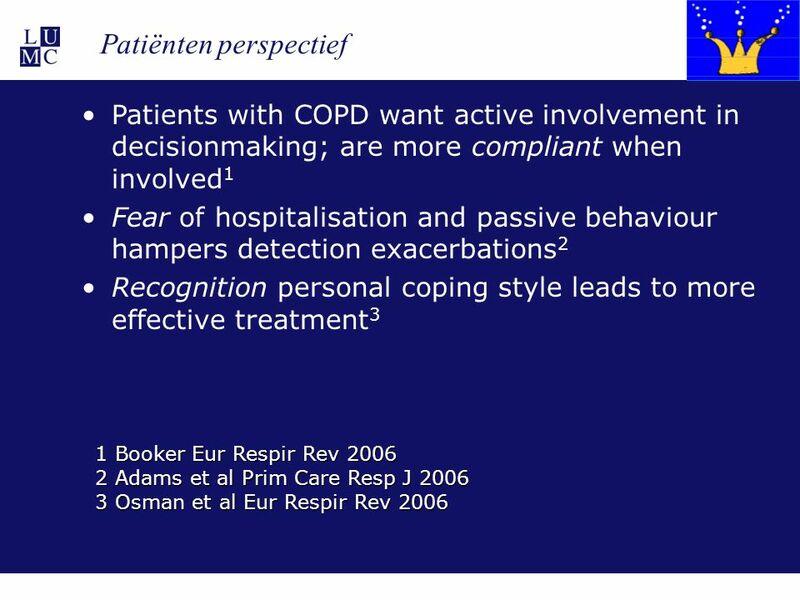 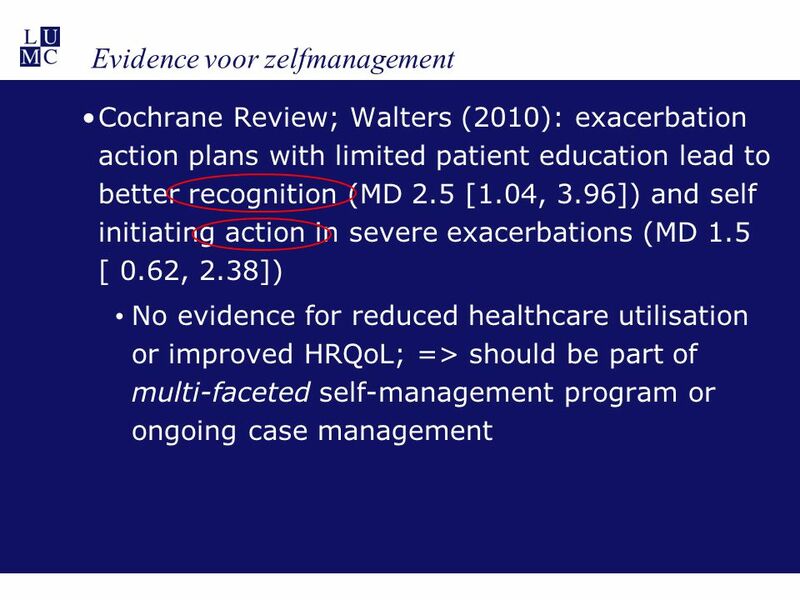 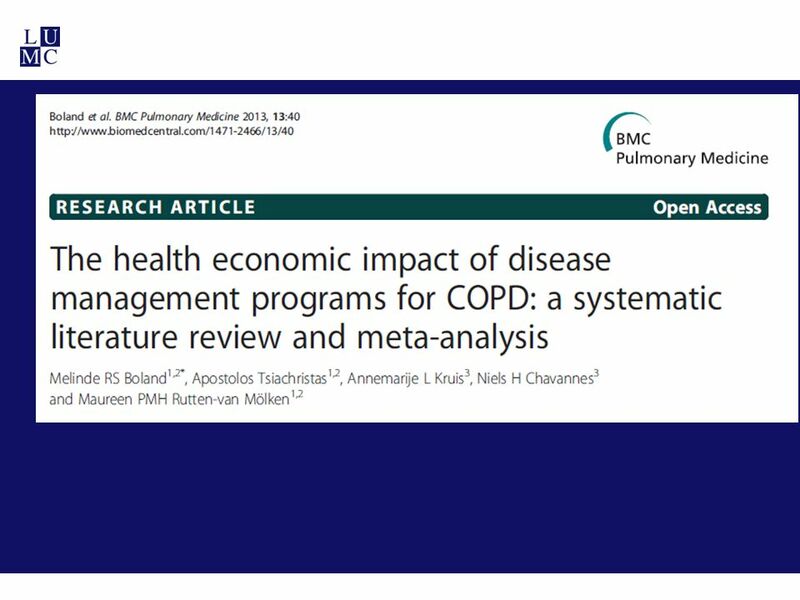 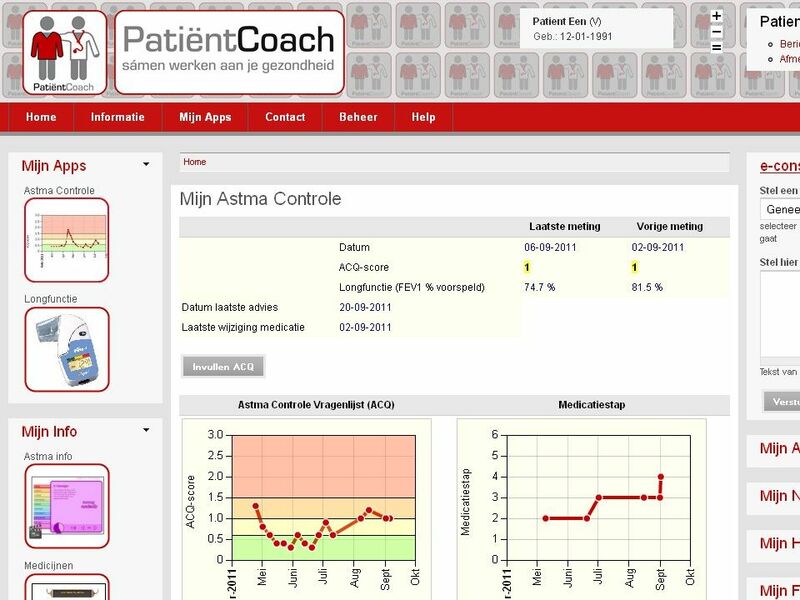 10 Internet-support In participants with a history of admission for exacerbations of COPD, telemonitoring was not effective in postponing admissions and did not improve quality of life. 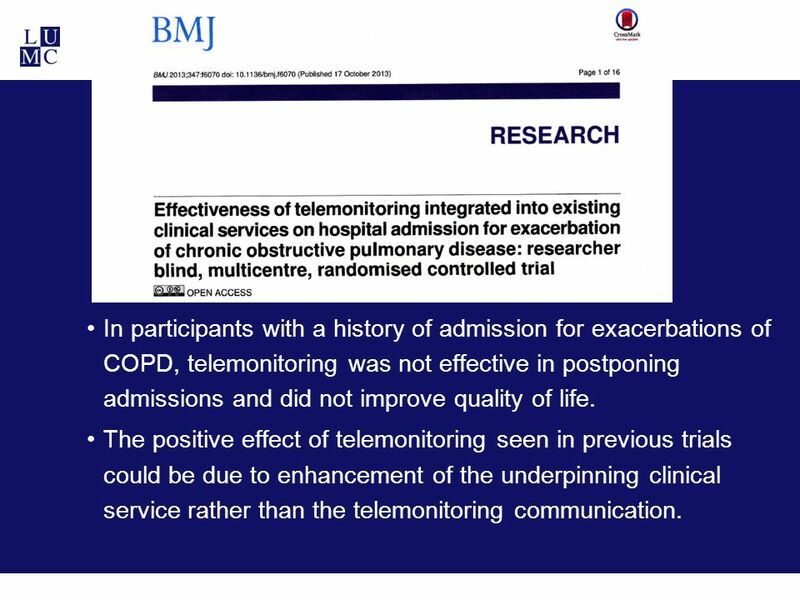 The positive effect of telemonitoring seen in previous trials could be due to enhancement of the underpinning clinical service rather than the telemonitoring communication. 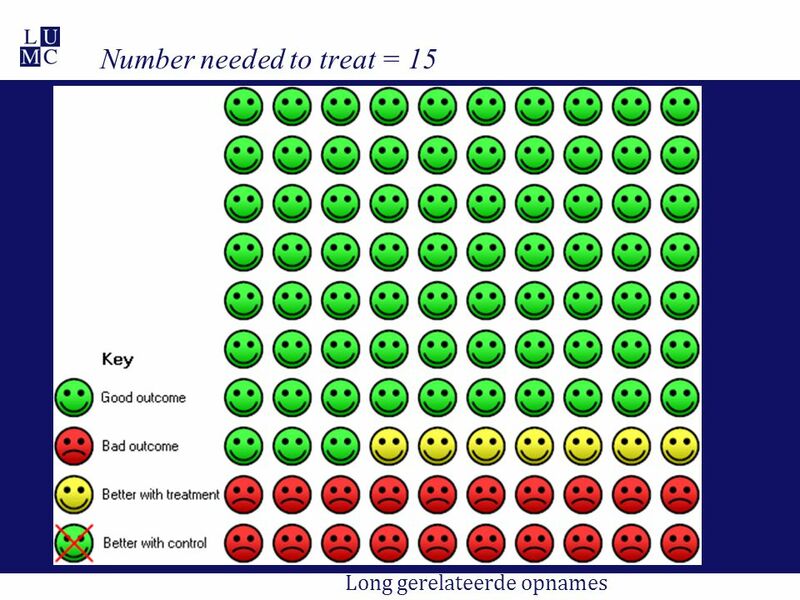 24 Meta-analysis (1) I will no go on with the results of the meta-analysis of our review. 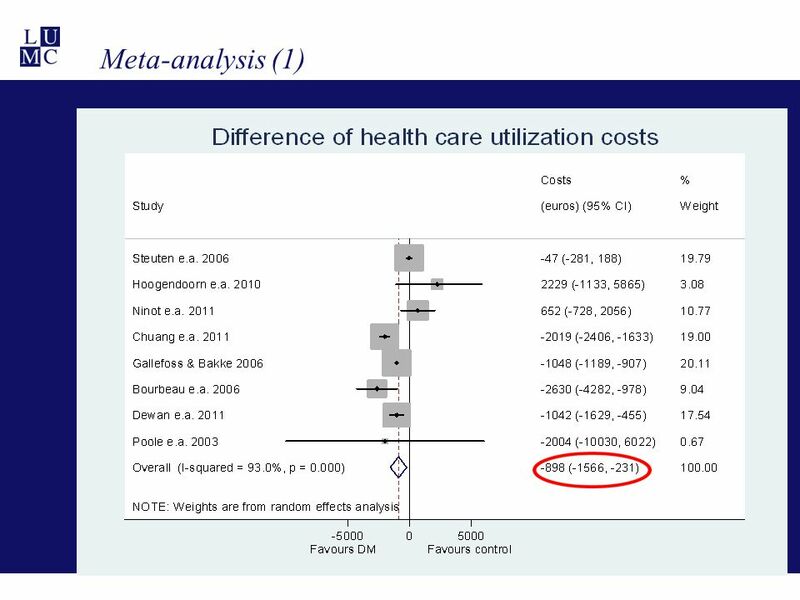 The meta-analysis showed an overall health care utilzations savings of almost 900 euros. 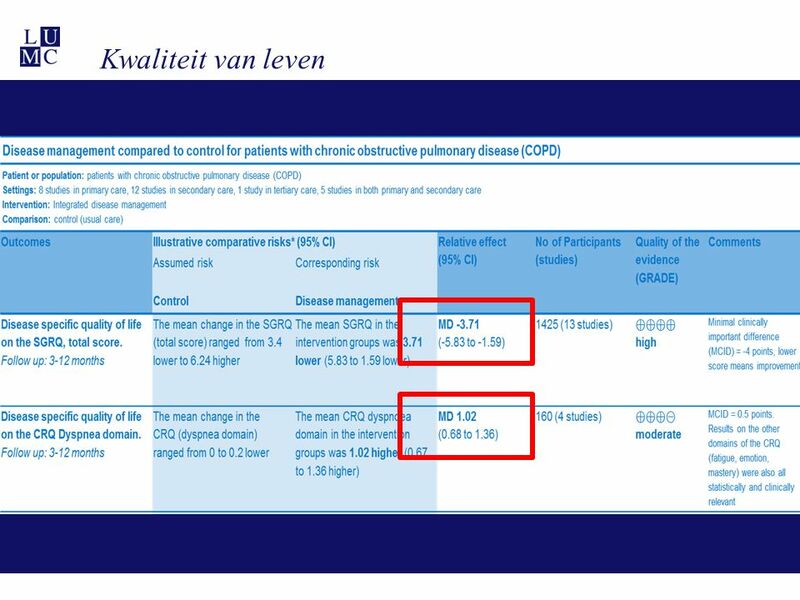 The pooled results lay in the left side of the 0 line, indicating a significant cost saving of the DM group. 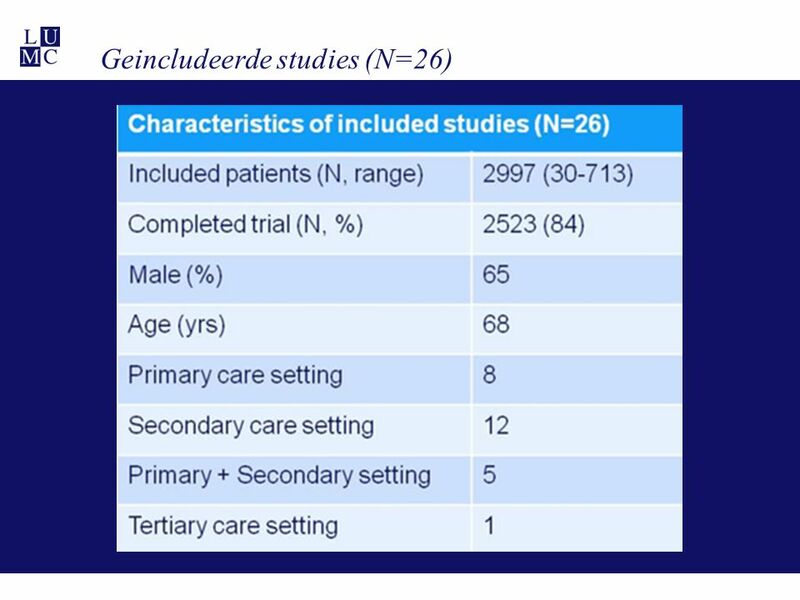 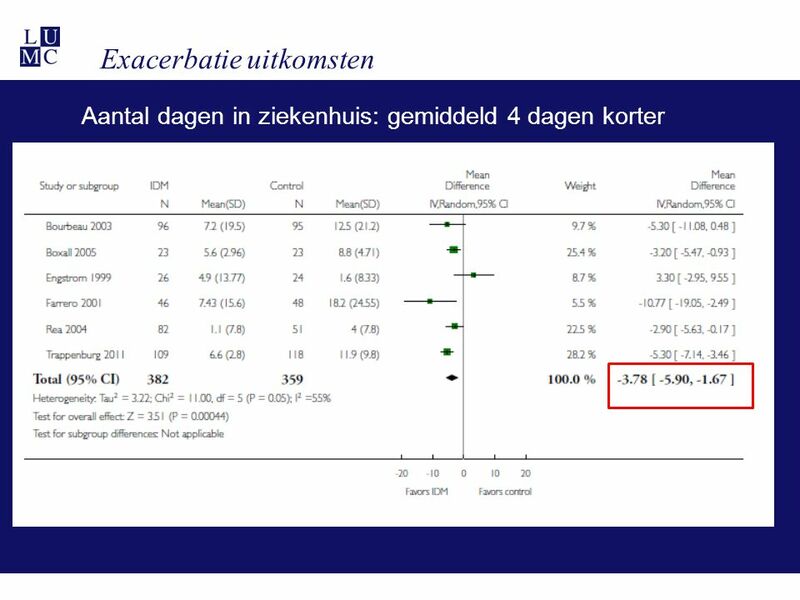 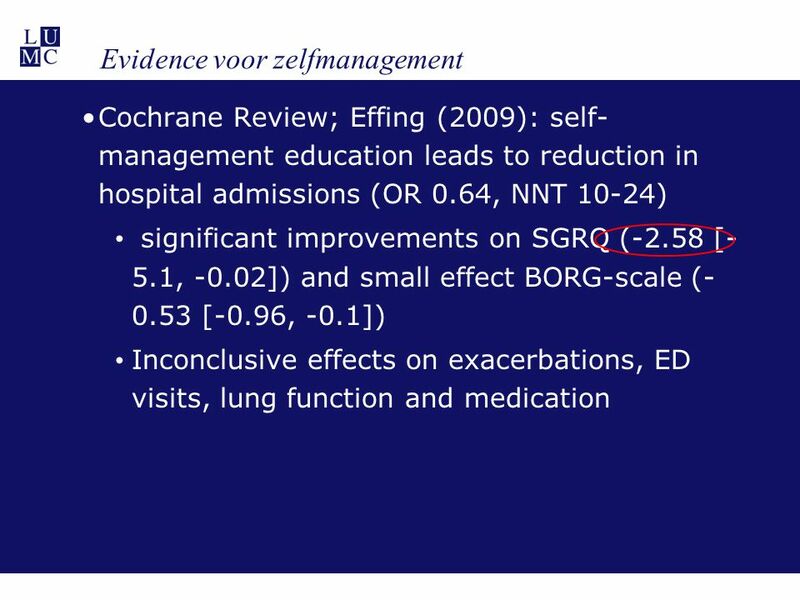 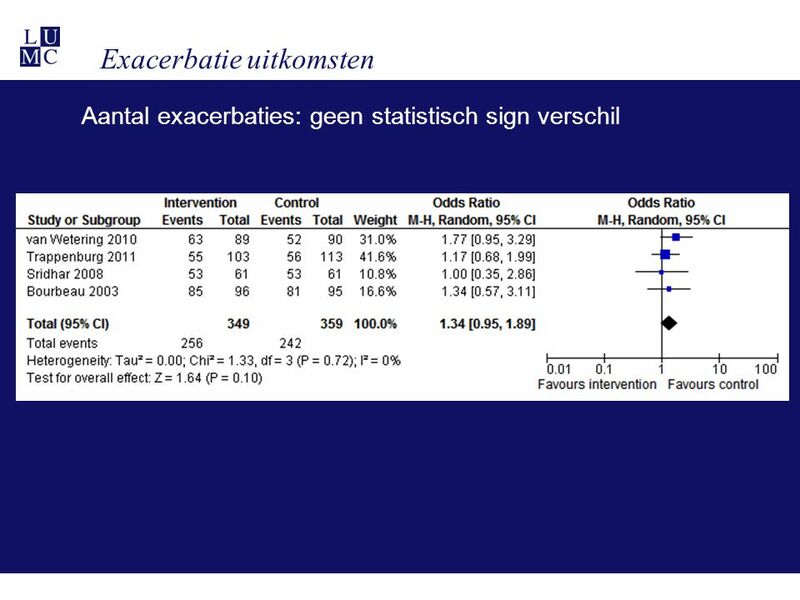 25 Meta-analysis (2) These savings are largely due to the hospitalization costs, which were about 1060 euros. 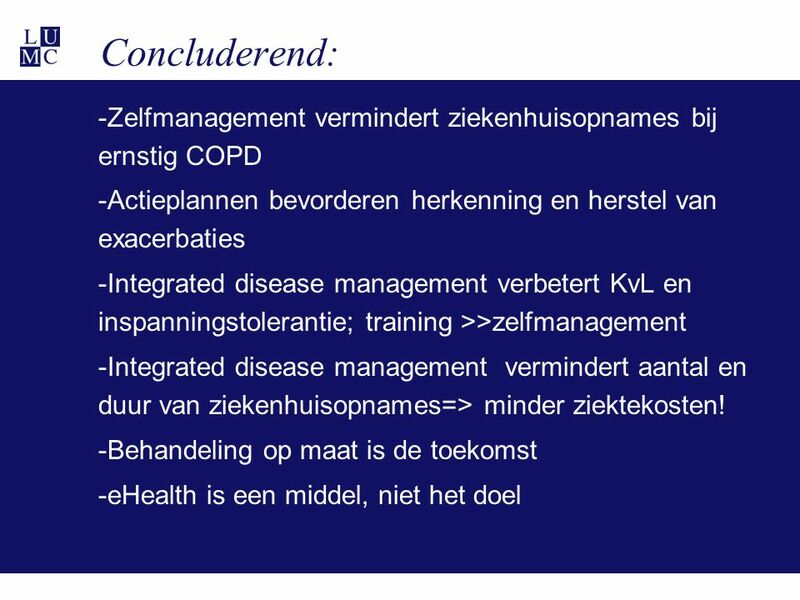 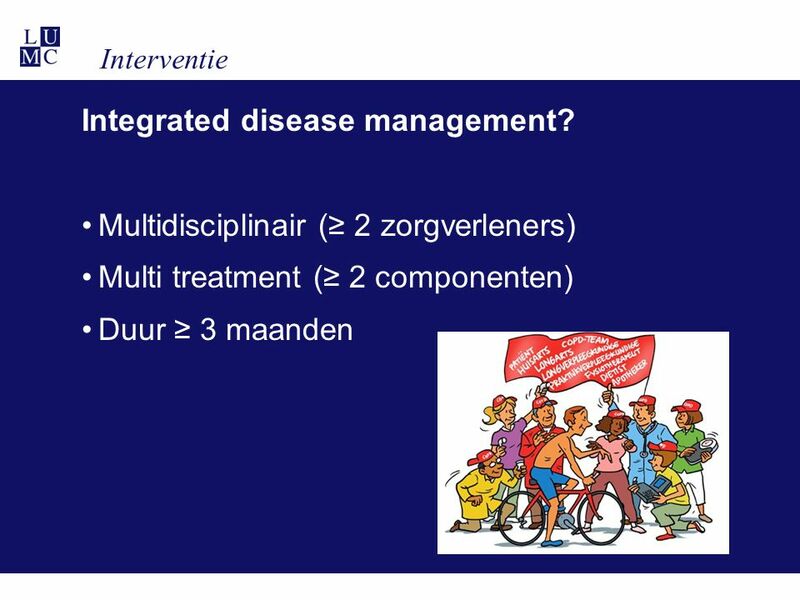 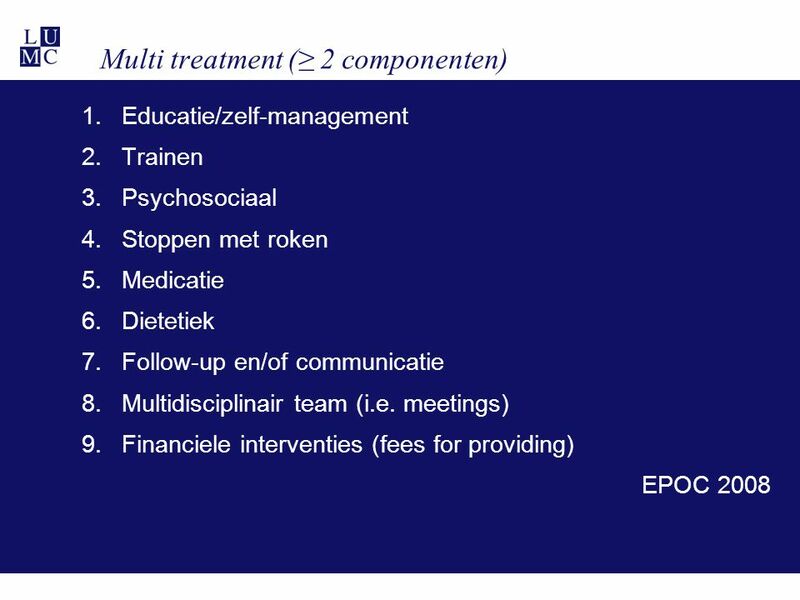 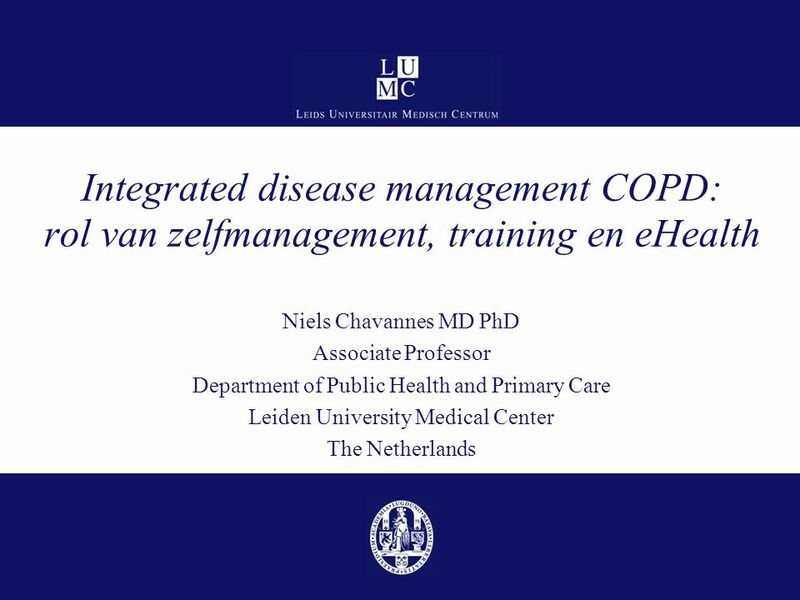 Download ppt "Niels Chavannes MD PhD Associate Professor"
Reinder Vrielink, February 2009 A comparative research among Dutch students in middle and higher vocational education with the Technology Acceptance Model. 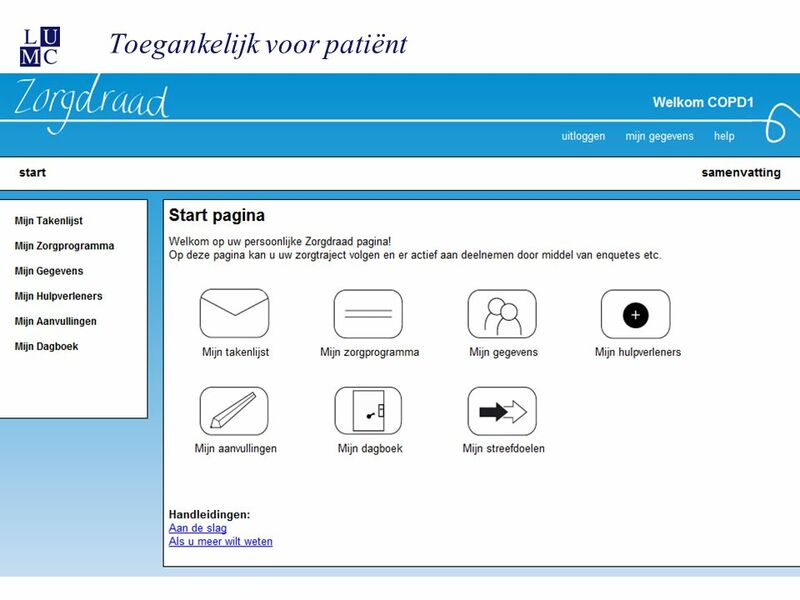 Vasculaire Geneeskunde: te vangen in richtlijnen? 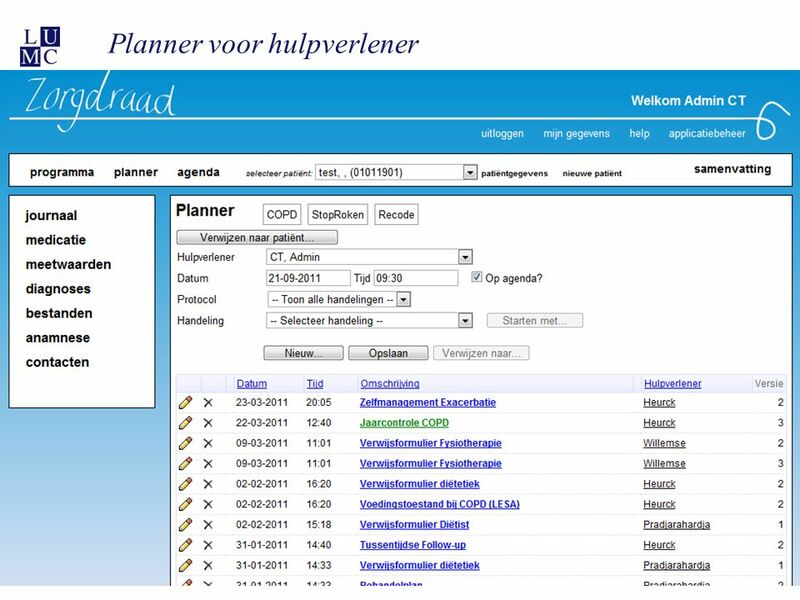 Yvo Smulders IVG-2011. 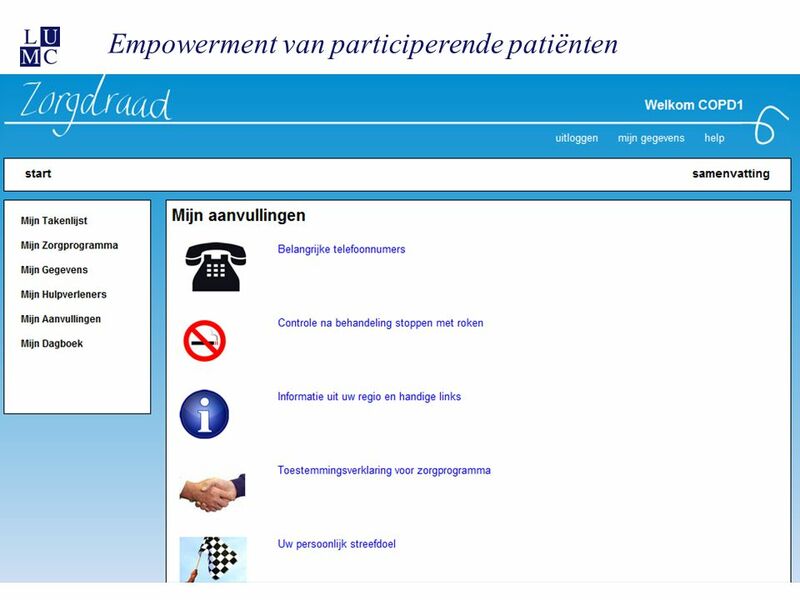 Crisisinterventie bij suïcidale patiënten met een Borderline persoonlijkheidsstoornis. 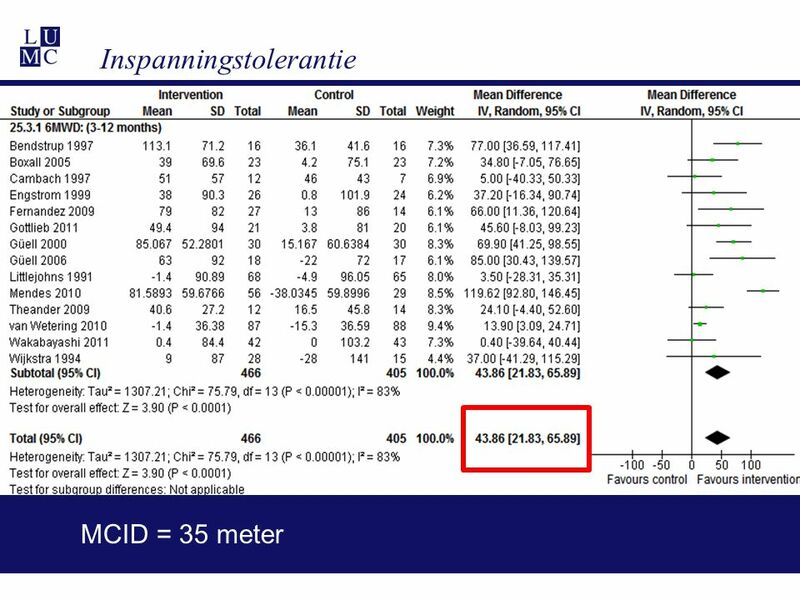 Cindey sijlbing. 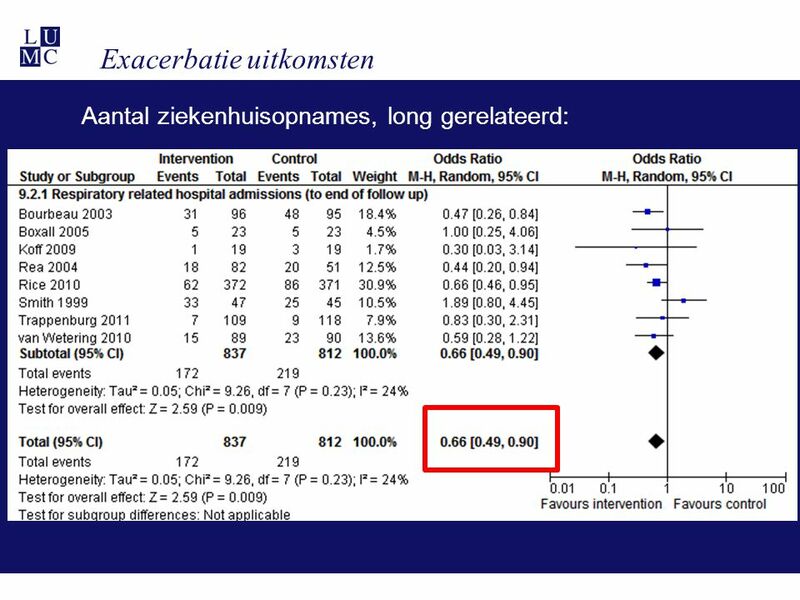 Oefentherapie bij ischialgie CAT de Krom 08-06-2006.